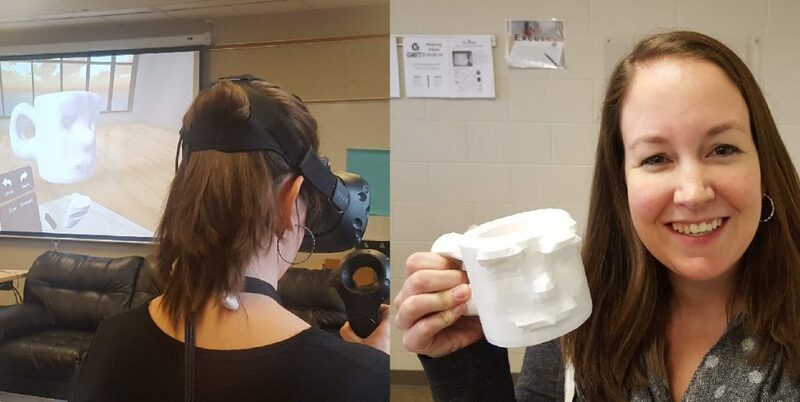 Elida High School art teacher Mrs. Johnson created a mug on the HTC Vive in an app called MasterpieceVR, then Grit9 printed it on our Flashforge Finder 3D printer. 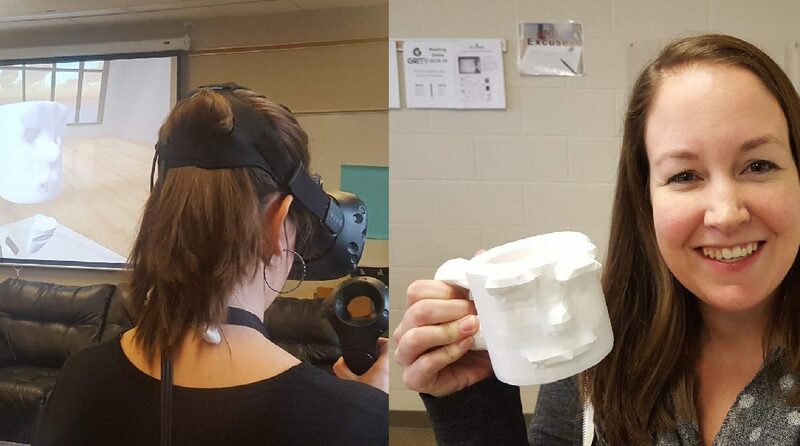 It was so much fun that we decided to collaborate and have all of her sculpture art students experience the same process. 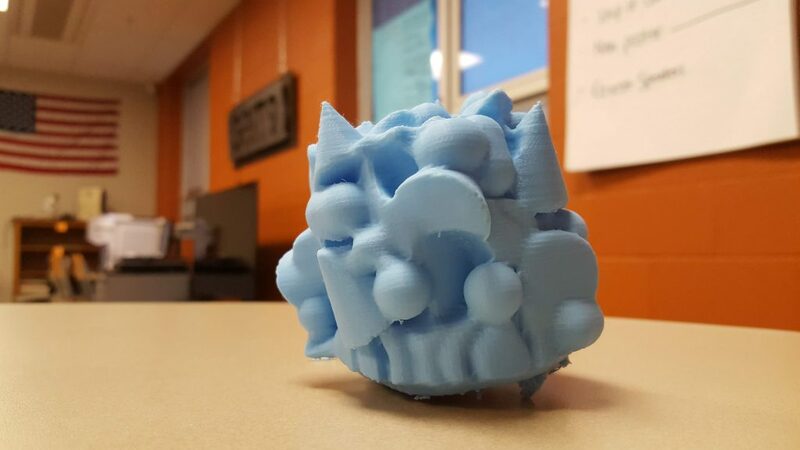 They are using the “subtractive” method of sculpturing, similar to how a ice sculpture creator would carve away pieces of ice from a large block of ice to leave behind the desired shape.